The cowboy, the handlebar, the viking, and the villain – which kind of ‘stache are you most fond? Since 2007 (in the United States), the month of November, a.k.a. “Movember,” has been a way for those who can proudly grow facial hair to do so in order to create awareness and raise funds for men’s health. A Whispered Wish has featured a handful of mo bros and their furry faces over the years [2011, 2013], but this year we are highlighting an organization that allows supporters a way to continue bringing awareness to the cause year-round. MovemberPins was founded in 2013 by graphic and web designer/developer Shay Pessah in response to some participants’ experiences sporting their new facial hair. “[…] a few men that took part in Movember often felt ‘creepy’ with their mustaches, and just wanted people to know (it) was to raise awareness and not their normal look,” Pessah said. Thus, the pin was created, as somewhat of a talking piece. Additionally, the pins provided a way for everyone to be part of the movement - women, children, and even cancer patients that cannot grow a mo due to hair loss during treatment. Following the first year of Movember Pin sales (in which approximately $200 was raised during the month of November), these efforts took on a more personal meaning for Pessah and her family. “In February of this year, my dad was diagnosed with Stage 4 - severe prostate cancer. It metastasized throughout his bones and he has been on a treatment plan since then,” she said. As one can imagine, this news was a huge shock - one in which many people would feel helpless. However, instead of succumbing to that helpless feeling, Pessah, her brother, Ryan, and her boyfriend, Chris, decided to ramp up Movember Pins this year in hopes of making a difference. "I spent the past few months working on the website, refining the logo, and enhancing the pins (based on the feedback last year)," said Pessah. And so far, this work has helped them triple their profits from last year. Pessah and her crew are pleased with the progress - especially considering Movember Pins is not yet a recognized affiliate of the official Movember movement. Although the main push to sell the pins will continue to happen during the month of November, Movember Pins will still be available for purchase throughout the rest of the calendar year at www.movemberpins.com, with all proceeds going to the Prostate Cancer Foundation. Pessah said they are even looking into creating t-shirts, bags, and other fun items for the future. 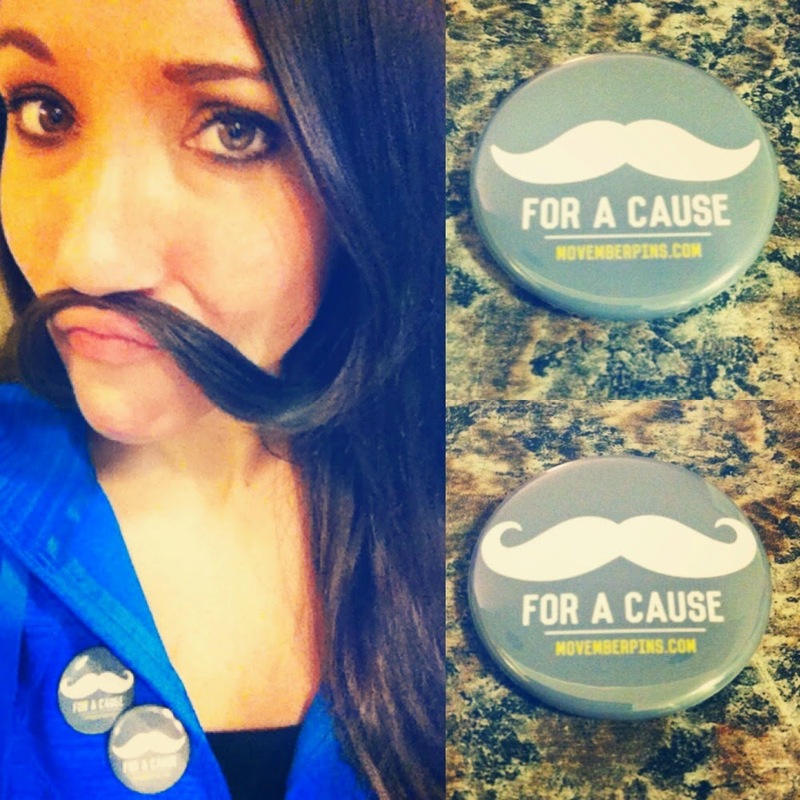 So, stay tuned for what's to come from Movember Pins. And if you've got a pin, make sure you get out there and rock it 365! Guest blogger Jaclyn Hugg is a higher education professional based in Chicago, IL. Her passion for service stemmed from her involvement with AmeriCorps and Student M.O.V.E., as an undergraduate student at Buena Vista University, and has followed her personally and professionally ever since. Top causes she supports: education, animal welfare, women's health, and hunger and homelessness. Hey I am Stacy. I think Beauty is truth's smile when she beholds her own face in a perfect mirror. Thank you for sharing, Stacy!